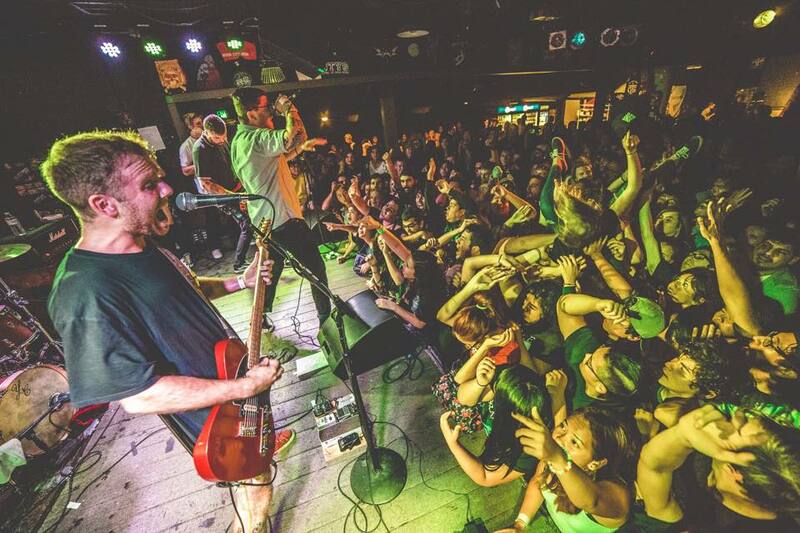 Harrisburg, Pennsylvania natives, pop-punk band Handguns consists of vocalist Taylor Eby, guitarists Brandon Pagano and Kyle Vaught, bassist CJ Wilson, and drummer Ryan Pyle. The band pulls inspiration and sound from those such as The Wonder Years and Menzingers, and brings out the upbeat pop-punk melodies with just the right amount of emotion,sincerity and rawness in their songs. I have been personally following Handguns for quite some time now, since seeing them perform over the summer on Warped Tour 2015, and have been eagerly awaiting new music from this band. So far, the new album seems promising and a lot of fun, as the previewed singles (“Self Portrait” and “Disenchanted”) show just how much Handguns have grown since starting out in 2008, and how much the experienced gained has changed their music for the better. Follow up on Handguns Here! Everyone seems to be looking to the the pop punk group from Albany, New York this fall, as State Champs prepare to release their next full length LP, Around The World And Back. The quintet State Champs has been on the tip of everyone’s tongues this year, and for good reason—their brand of pop-punk is emotional, energetic and even the right amount of poppy. But the band has won over plenty of people due to their softer side, which is why the title track of their new album, Around The World And Back, a gorgeous acoustic duet with Jule Vera front woman, Ansley Newman. Being an acoustic track, this song easily draws the listener in with the pairing of soft guitar and the voices from Derek DiScanio and Ansley Newman. State Champs’ Around The World And Back will be released October 16 via Pure Noise Records and can be pre-ordered here.